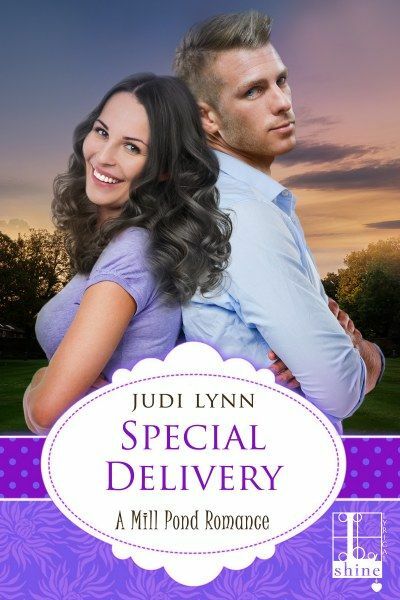 In my sixth romance, SPECIAL DELIVERY, Karli Redding, a travelling nurse, volunteers to go to Mill Pond to arrange health care for her grandfather. My daughter’s a travelling nurse, so it was fun making Karli one, too. My daughter’s dealt with many an uncooperative patient, and I could hear her bantering with Axel. Mill Pond’s mailman, Keagan Monroe—who’s easy on the eyes--let Karli’s mother know that Axel shouldn’t live alone anymore. Keagan’s been dropping off cottage cheese, Ensure, and applesauce and keeping an eye on him, but he’s found the stove on three times when he stops by. The problem is that Axel is of sound mind and as spiteful as ever, so refuses to cooperate with any fixes Karli finds for him. He keeps telling her that one or more of his twelve children will come to care for him, hoping he’ll croak soon and leave them all of his money. Karli has a month off between nursing jobs, so she decides to stay with him until someone shows up. Working in a hospital is not like living with a patient. Axel can be a real pain. I loved both of my grandmothers, but they didn’t grow warm and fuzzy when they got old. They got more demanding. Karli cooks for Axel and tries to get him to move more to build up strength. That’s when she learns that Axel…and the hunky mailman she begins to lust over…can both be had with food. There’s a lot of food in this book. A reviewer warned not to read this when you’re hungry. Probably because I love to cook for friends and family. Thanks so much for sharing my book. Much appreciated!